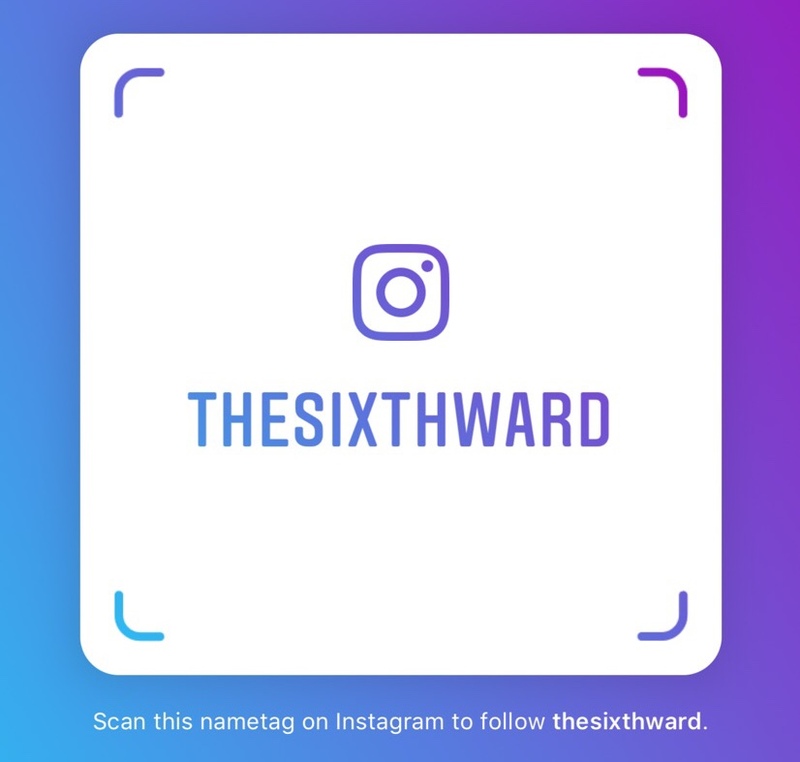 The Sixth Ward: Chicago Ward Remap: A Lawsuit Waiting to Happen? What was mentioned here in this article from Chicago Magazine has been noted before in a variety of pieces seen about the ward remap. 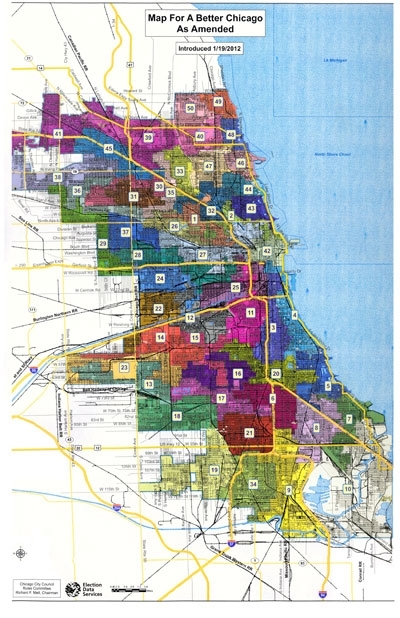 Alfonso described a public hearing on the South Side in the week before the vote that “put a face on redistricting…. People talked about such things as how much more difficult is it for a school principal to help a family if the current ward becomes divided among three different alderman.” Alfonso singles out Alderman Rey Colon, 35th, as one of the few “good guys” in this process—one of eight “no” votes and the only Latino to vote “no.” Colon told me yesterday: “I objected to being rushed. That’s how the parking meter deal happened.” He added, “I wanted time to absorb what people were saying at meetings. I didn’t like the sense we have to snap this picture now. 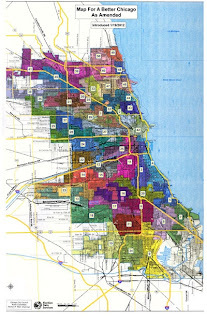 I felt there was still an opportunity to come up with the best possible map, and this wasn’t it.” Colon said he fears the map will not withstand legal scrutiny because its “high deviations”—differences in ward populations, around nine percent—renders it “not equitable.” (Some aldermen will have as many as 4,000 more constituents to serve than others.) A referendum that probably would have put the map favored by the City Council’s Black Caucus and the Latino Caucus before voters would have been “appropriate,” he argues, and less costly than the lawsuit he sees coming. Whether this lawsuit has any legs remains to be seen. These fights are difficult, if not impossible for the plaintiffs to prevail. Since the vote in favor of the map was 41-8, an overwhelming majority, the chances for success are limited. Several aldermen that The Examiner talked to stated off the record that the lawsuit is a nonstarter and that the council now wants to move onto highr priority items. When you think about it, why should the city council approve a map that would only be challenged in court at some point? Another thing to read is how 19th Ward (Beverly, Morgan Park, Mount Greenwood) residents had been able to organize to oppose the ward remap. They still lost a block or two here and there, but the ward is largely intact still. This piece also shows how the Alderman - Matt O'Shea - had been involved in the protests. Some will say that Ald. Sawyer hadn't fought hard enough to keep the 6th Ward together. Also courtesy of Worlee's Concerned Citizens of Chatham, an official statement from Ald. Sawyer's office on the recently concluded ward map. An assurance of continues representation under him and looking forward to the new boundaries. Chicago Magazine also revealed which Aldermen are gang member’s best friends! Now you can explain to friends and family members who keep wondering why certain Aldermen don’t get voted out! The gangs keep them in office. And some of this same Aldermen “gangster crew” are the same ones who screwed the 6th Ward. Yes, this story is related to the attack on and destruction of the 6th Ward. This is a shocking article topic that even WVON is SCARED to discuss. Stop trying to delude yourself! Chicago magazine would not print this article if their sources had not proven satisfactory to the top law firm they use for slander and libel advice. Black Politicians betraying their own constituents to satisfy their selfish, EVIL ambitions. Criminals having free reign to terrorize communities because preachers, community activists, and politicians WILLINGLY let it happen. The Middle Class is being destroyed, but the Black Middle Class is being decimated, ironically, by those Blacks who want to remove any obstacles to their goals of complete control over Black People. Those Blacks who strive for excellence are looked down upon by those Blacks who do not strive for excellence…. and the Black Preachers, Black Community Activists, and Black Politicians share in this STUPIDITY!!! BLACK PEOPLE, LIKE ALWAYS, WAIT UNTIL “AFTER THE FACT” INSTEAD OF BEING PRO-ACTIVE BEFORE BAD THINGS HAPPEN! WAKE UP and STAND YOUR GROUND! BLACK POLITICIANS DON'T CARE ABOUT YOU! STOP SUPPORTING THEM UNTIL THEY PROVE THEIR WORTH TO OUR COMMUNITIES! I certainly wasn't happy with the secretive process of developing and approving the remap. However, of the map proposals I saw, I thought that MALDEF's was the worst by far. It would have carved up many neighborhoods into multiple wards and been worse for the city overall than the travesty that was approved. My neighborhood would have been carved into 3 VERY arbitrary, convoluted pieces by the MALDEF map, which would have destroyed any cohesiveness of political representation in our neighborhood. I wish that Waguespack's map, which reduced the number of wards and redrew boundaries in a more fair, representative way, would have gotten approval, but the powers that be totally buried it. The approved map was not a "Map for a Better Chicago." Call it what it is: a "Map for Political Hacks' Job Security."